I’m walking down Bourbon Street in the middle of the annual Decadence Parade my vision is blurry, probably due to the unnecessarily alcoholic and large daiquiri I’m holding; coupled with the sweltering humidity. I have one friend from Australia on my left and another from Colombia on my right, both feeling the same way. My bus leaves soon but it’s hard for me to care, I’m having such a great time completely enchanted by the madness of New Orleans. I arrived in The City that Care Forgot late at night on the Monday, meeting up with my friends from the ride share to Austin. They live in the French Quarter right in the thick of the New Orleans craziness. Immediately I was taken down the road to the local 24/7 Laundry/Take Out joint/Bar. There i was force fed beers and a plate of tater tots fried to within an inch of their lives. 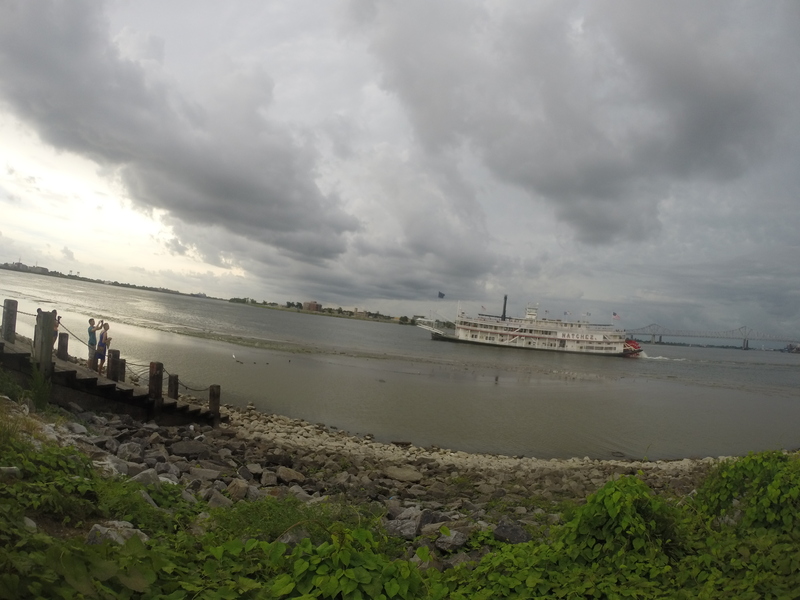 Welcome to New Orleans! This city feels more like what I imagine an old Caribbean pirate town might of felt like, it certainly didn’t feel American. I was in love. The smell of bourbon and creole cooking drifted through the air, along with faint notes of jazz, blues and soul music echoing from the myriad of street performers and restaurants. I could feel the pulse of the city as i wondered its streets, this town was alive. New Orleans has a colourful history, a defiant beacon of freedom during the prohibition and for the longest time a center for music and art. Its liberal laws on drinking and reputation for vice have made it a haven from those seeking to escape their past or looking for a new start. The city seems to embody this strangely beautiful yet melancholic dance between forgetting the past and not worrying about the future. It creates an atmosphere of living in the moment. It’s enchanting not worrying about anything but the right now, as people live each minute as if it was their last. Although, this same environment of hedonism and absolute freedom proves too much for some. It has produced transients, alcoholics and addicts who are intoxicated not by their poisons, but by the allure of the city itself. Despite this, in general people are happy and it’s almost impossible to have anything but a good time in New Orleans. By chance I was in town during a particularly crazy time of year. 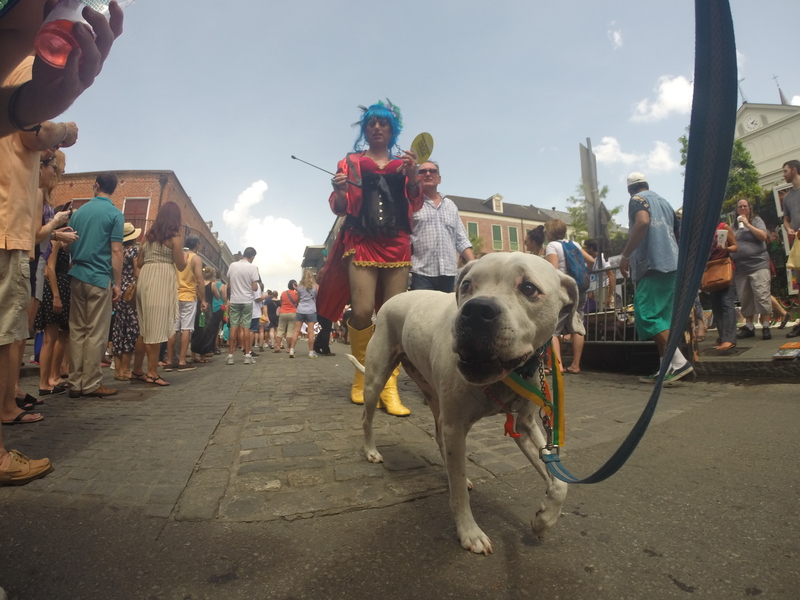 Wednesday was the beginning of the Southern Decadence Festival which marked six days of street parties and events primarily geared towards the LGBT community. 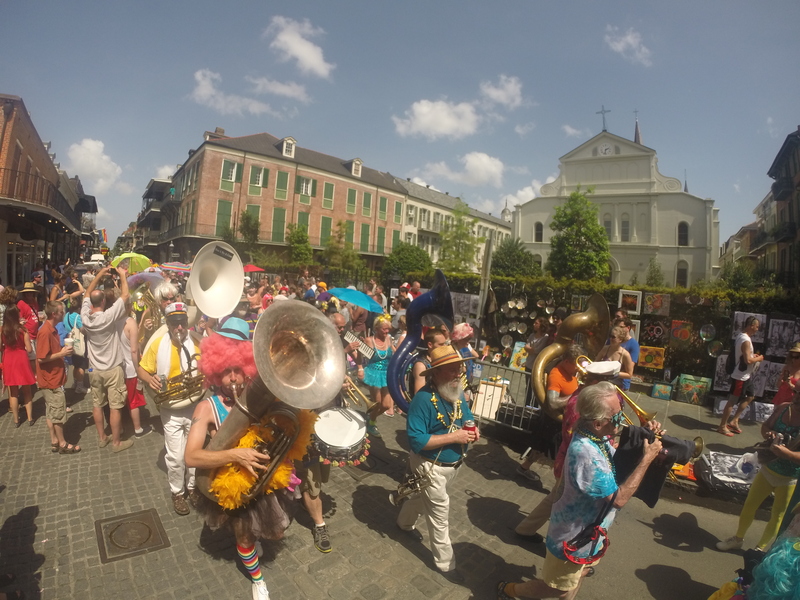 All culminating in a giant parade and night long party through the French Quarter. As a result my nights continued to get wilder and wilder as the general population grew. 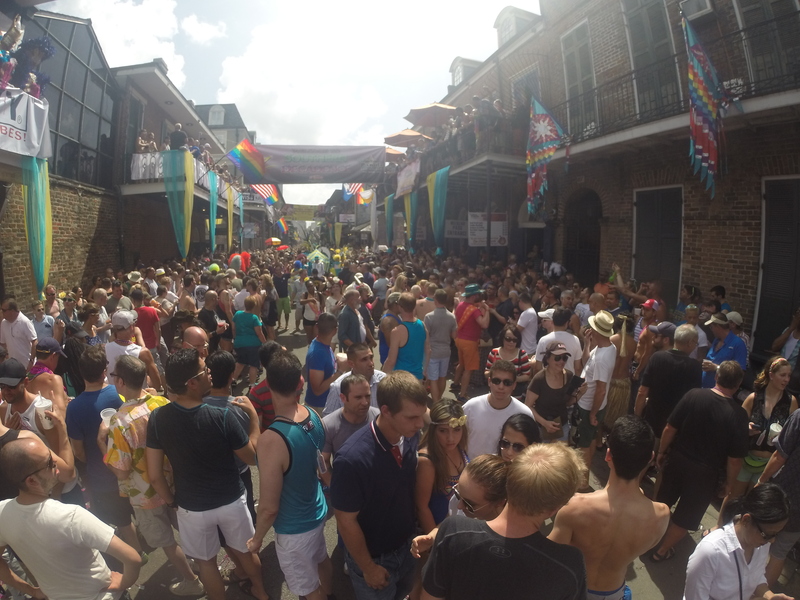 There are no laws in New Orleans about drinking in public or a curfew on alcohol sales; essentially turning the whole of the French Quarter into one giant bar during events like Southern Decadence (or on any ordinary weekend). I spent the week listening to world class music, feasting on the local cuisine, and of course in true New Orleans style, drinking. 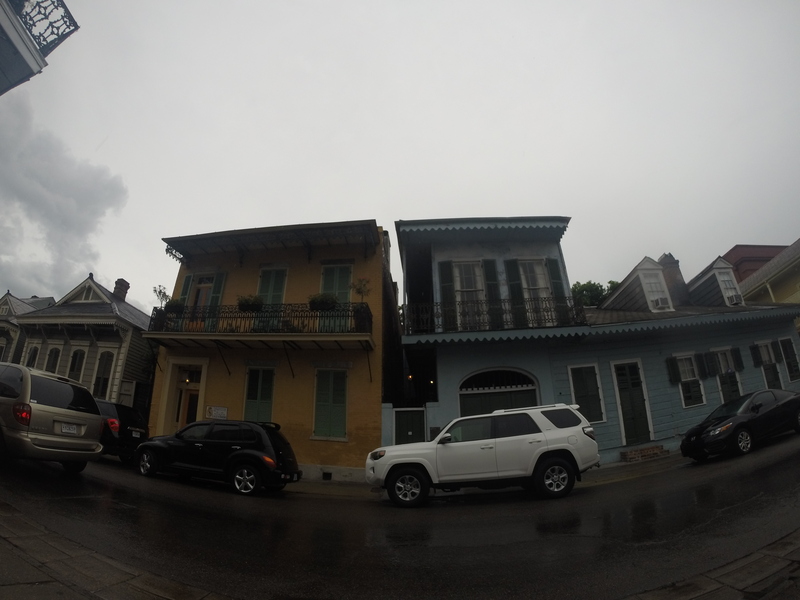 On Friday I moved to a place outside of the French Quarter further uptown. It was a welcome change of scene from the never ending partying of the French Quarter. I was staying with a friend who I’d met back in Colombia’s and his two roommates an entrepreneur and a musician (He’s got great Music if you’re interested you can check him out here). I spent a couple of nights hanging out and getting to know his friends as they showed me New Orleans, outside of the French Quarter. It was nice to have a slightly less intense period of partying to prepare ourselves for Sunday. We awoke on the morning of the big Parade. 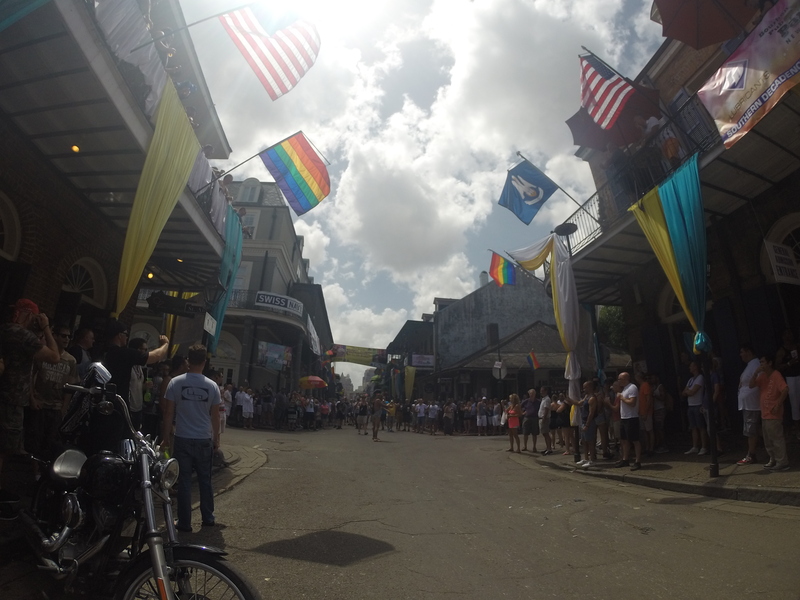 The event started at 2pm and by the time we got to the French Quarter at 1pm half the city was already drunk. Naturally we headed for a drink, daiquiris to be exact, huge and unimaginably alcoholic daiquiris to be exact. 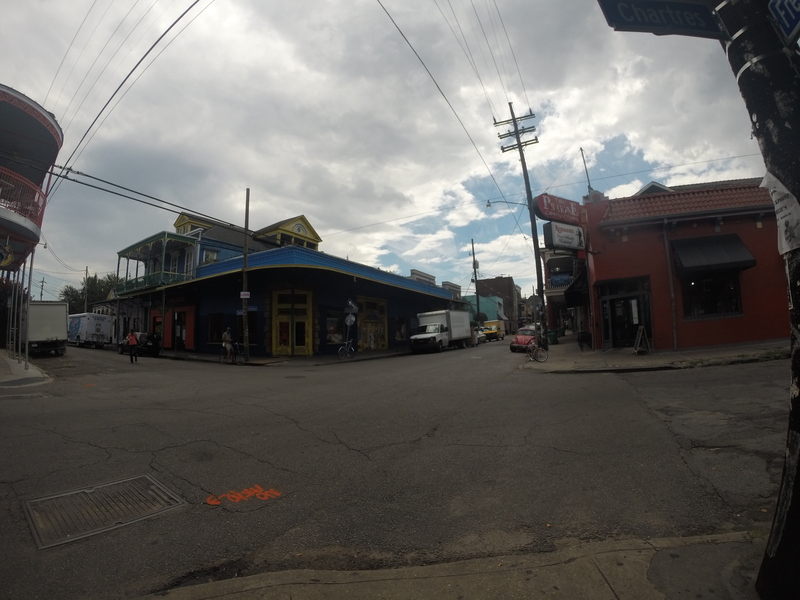 We wandered through the most notorious street in New Orleans, Bourbon Street. A place known for its debauchery, parties and anything goes environment. Interesting would be putting it lightly. We then followed the parade from Royal Street back onto Bourbon’ taking in the madness as people let go of all their inhibitions. 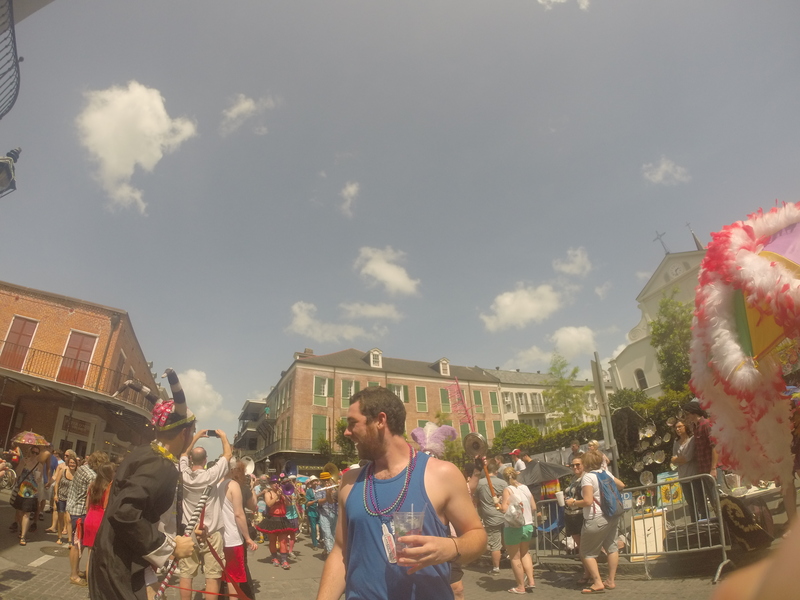 Though I was getting drunker and the party wilder I had a bus to catch so reluctantly I pealed myself away from the insanity that was Southern Decadence. I said goodbye to my friends and the town, then made my way to the bus station. As I jumped on the bus vowing to give my liver a break, I couldn’t help but appreciate the majesty of life. New Orleans really made me realise that if you look hard enough there is beauty in everything; In the sorrow, the desperation but also the hope and the smiles I fell in love with New Orleans. 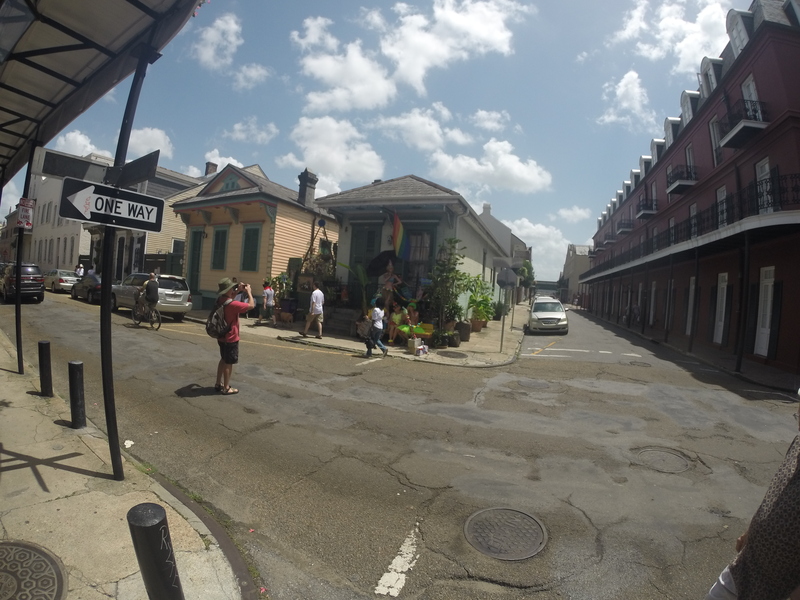 My first thought about New Orleans was crazy but after spending the time to revel in the insanity and find out more about the town the only word I could think to describe it was beautiful.